I have been known to find—or perhaps more accurately, create—an entrepreneurial angle on some pretty esoteric topics, so much so that my co-editor has from time to time challenged me to do so with some topic out of left field. It just so happens that the day on which this blog post comes due is Holocaust Remembrance Day (also known as Yom HaShoah). A reasonably enlightened person might wonder how an entrepreneurial lesson might be drawn from the marking of the anniversary of the 1943 Warsaw Ghetto Uprising. Focusing on the “any enterprise” part opens up whole new fields of human endeavor to entrepreneurial interpretation. 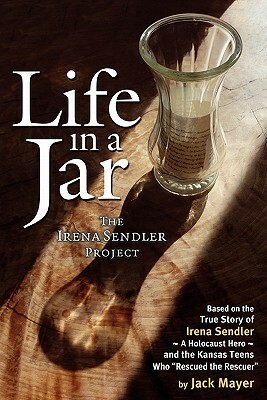 Take, for example, Life in a Jar: The Irena Sendler Project, a book that chronicles the work of Irena Sendler, a Polish Catholic social worker whose entrepreneurial success was humanitarian, not economic. Sendler created, organized, and managed a network of fellow social workers who, at incredible risk to themselves and their families, saved more than 2,500 Jewish children from the Warsaw ghetto. Let’s face it: When it comes to risk, life or death definitely trumps dollars and cents. And so, on this Remembrance Day, perhaps we should remember that, just as not all success can be measured in monetary terms, entrepreneurialism is not a characteristic limited to businessmen.